BCRI-series - for working widths from 180cm/70inch to 240cm/94inch. Ditch mower for medium and big tractors with 50hp to 100hp with CAT II. 3-point hitch. 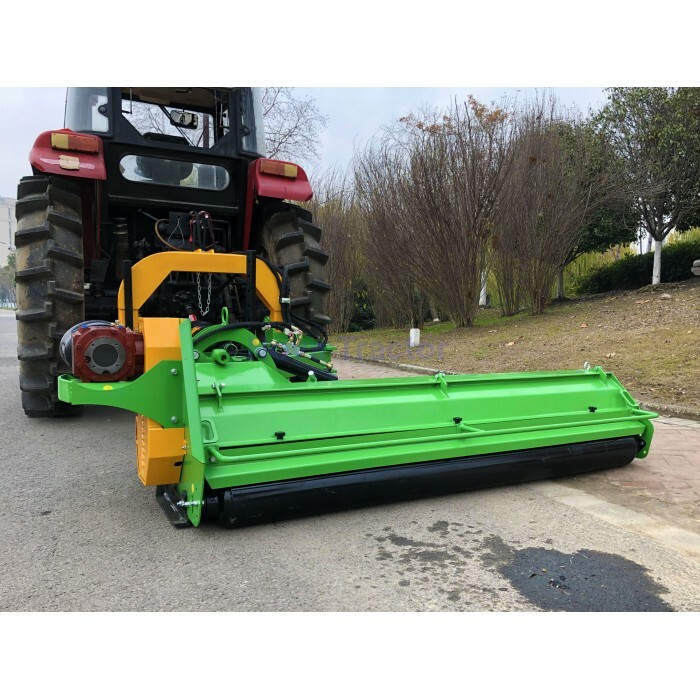 Nova BCRI heavy duty ditch mower with 1300gr/2.8lbs flail hammers, for medium and big tractors from 40hp to 90hp engines with Cat. 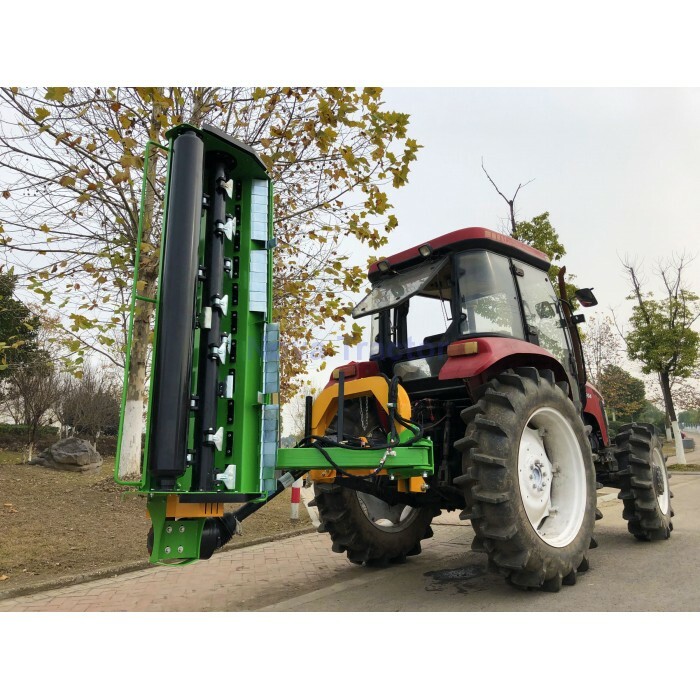 II 3-point hitches, working width is from 1800mm/70inch to 2400mm/94inch, 154cm/60inch hydraulic side-shift capacity, mowing range angle from -60° to +90°, the maximum distance from the middle of the tractor to the right side of the mower is up to 142 inch , depending on the BCRI-model. 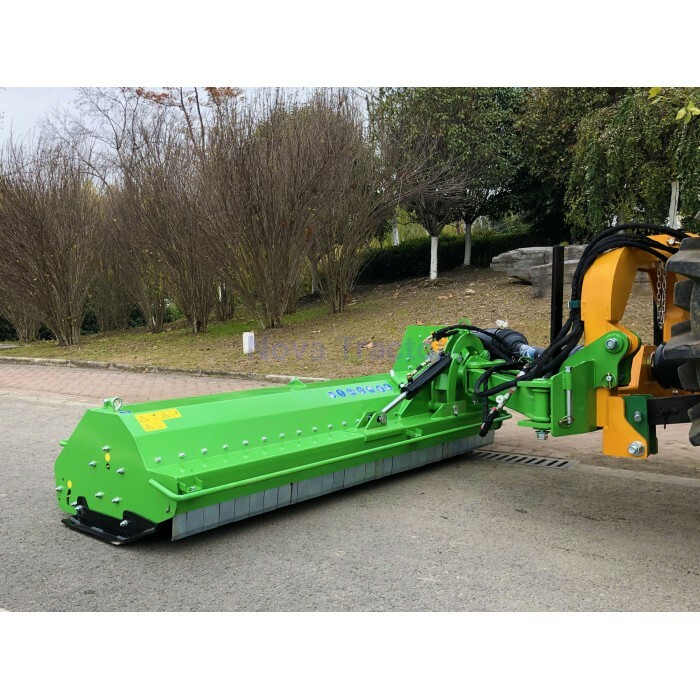 The hydraulic swivel arm not only allows mowing in almost any position, but it also saves manoeuvring in narrow corners when you use the BCRI as regular flail mower. 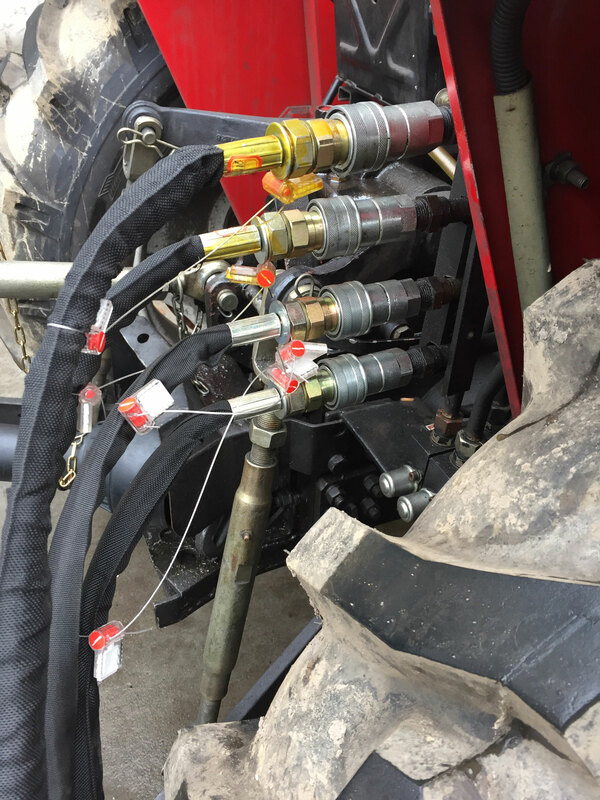 Your tractor needs 2 double acting hydraulic control circuits in order to fully operate the swivel arm. Comer Transmission. Nova BCRI heavy duty ditch mower use transmission from Comer Industries. Two section PTO shaft. 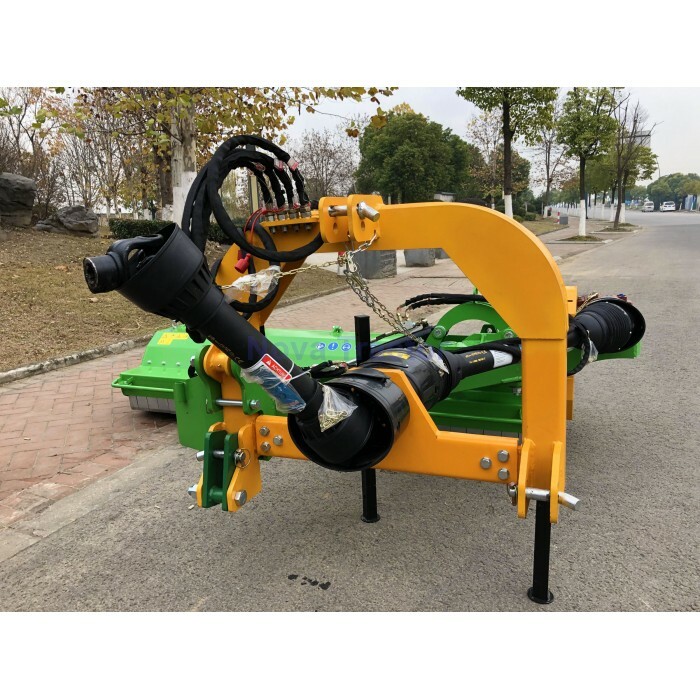 Through the application of two PTO shafts (a long shaft with a wide angle), it is possible to work in every position without the risk of damaging a PTO shaft. Rear gate. Nova BCRI is with rear gate, easy for maintenance. Reinforced 3 point hitch. Nova BCRI is with reinforced 3 point hitch. Forged flail hammer. Nova BCRI is with forged and galvanized high performance hammer knives, each weight is 1300gr/2.8lbs. 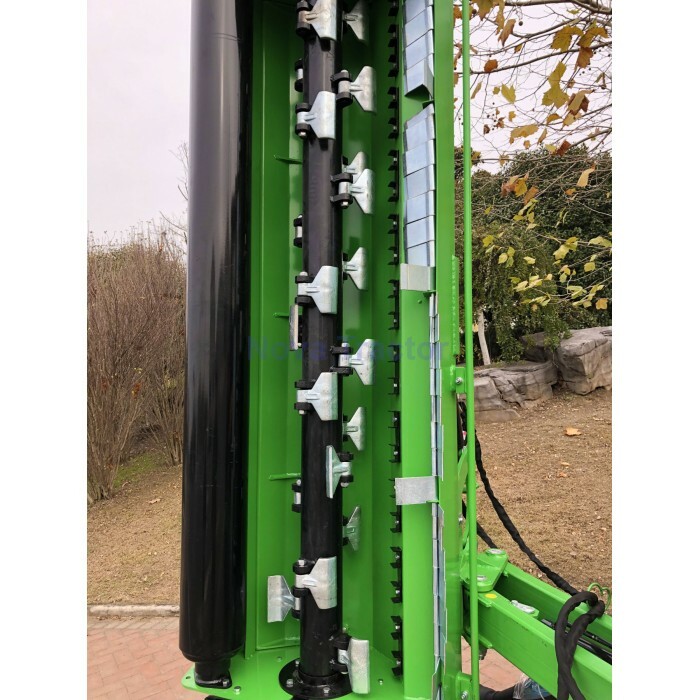 Mechanical crash protection system: The Nova BCRI series offers a crash protection system, which lets the mower swing out to the back, in case you hit a solid piece of material. 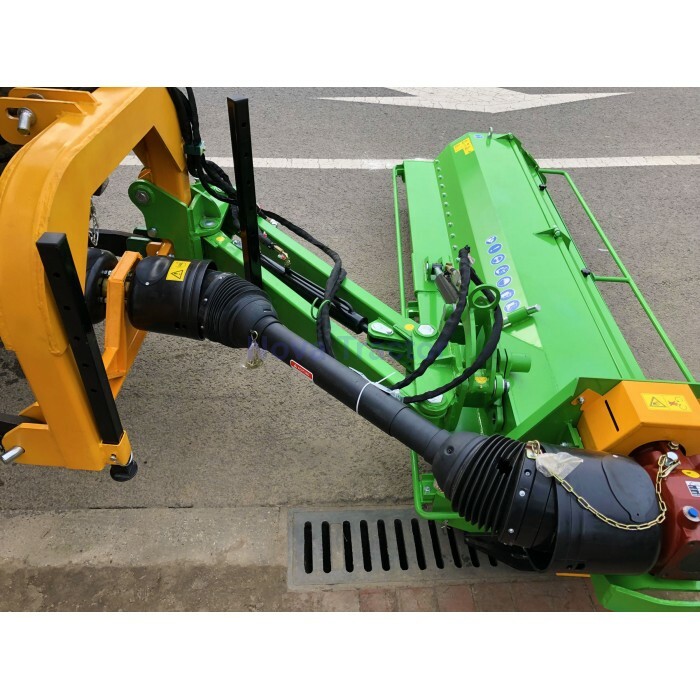 This additional swinging feature gives the tractor driver the opportunity to brake in time, before serious damage is done to the mower. This safety feature is totally maintenance free and runs reliably for years. Safety protection valve. Nova BCRI has 2 safety valve to prevent tractor falling accident due to mower falling too fast. When transport the BCRI, Nova provide 2 locking pin to keep mower in safe transport position. Replaceable counter knife . The counter knife in the mower housing and replaceable, are helping to do an even more efficient job as before. Heavy duty roller. 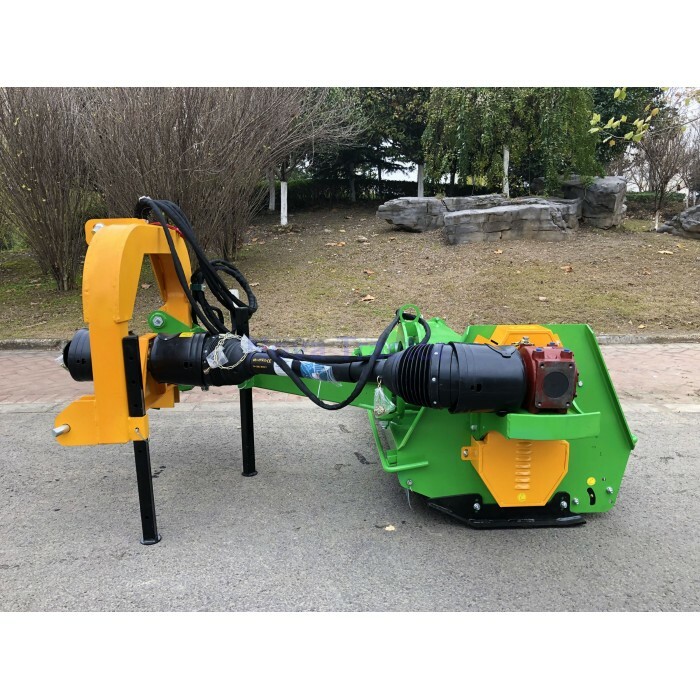 The mowing height is adjusted by the heavy, ball-bearing mounted self cleaning rear roller which is 7.6" diameter, to prevent the mower from cutting into the ground on bumpy surface. Strong V belt. 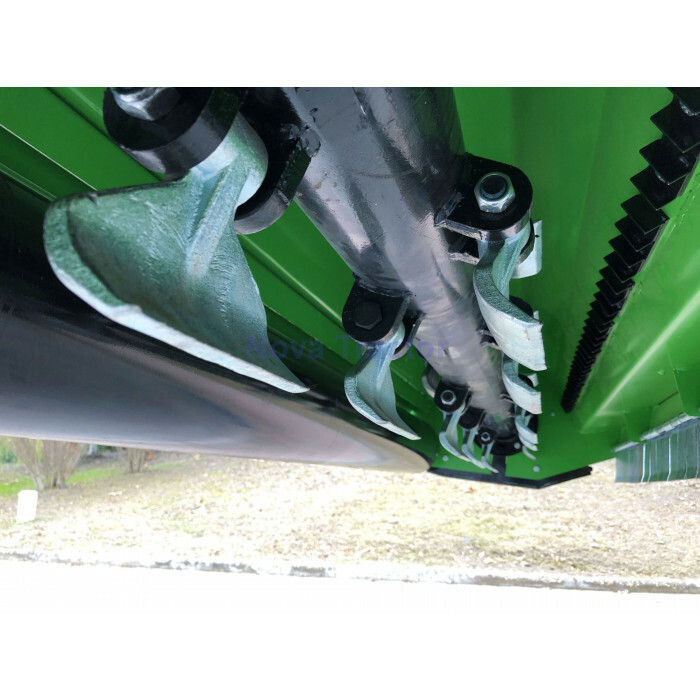 The BCRI series has an electronically balanced rotor shaft which is driven by 4 belts depending on the working width. 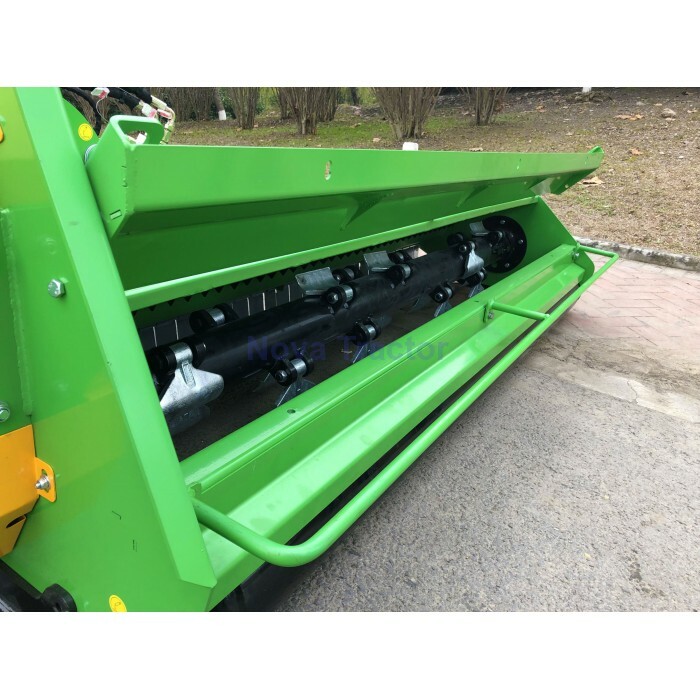 Despite the high flail hammer knife weight of 1200gr/2.6lbs, this guarantees an almost 100% power transfer rate with virtually 0% belt slippage. The new Nova belt cover is unique in the BCRI mower class. The correct belt tension can be checked within seconds without having to remove the belt cover. This makes service and maintenance a lot easier than before. Electronically balanced rotor. 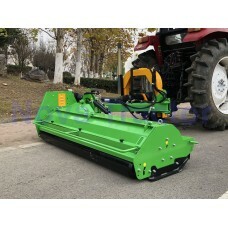 Like all other Nova mowers, the BCRI series has an electronically balanced knife shaft which is driven by 4 wide belts. The heavy free-wheel gear box runs in an oil bath, so the transmission oil has to be filled up before you first use the machine. BCRI ditch bank mower has two cylinders, so it needs two loops tractor rear hydraulics.